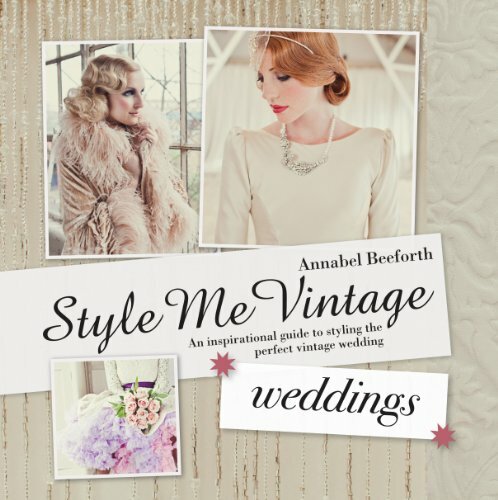 The fifth book in the successful 'Style Me Vintage' series is designed to inspire brides-to-be to create their own vintage-themed wedding. Harking back to styles of previous decades is often the basis for a truly stylish wedding, but it can be difficult to get all the details right, without a little bit of guidance. This beautiful and accessible book looks at how to source and put together bridal outfits and event styling for a themed occasion, from the Edwardian era, through the decades to the 1970s. From the dress itself, through to accessories, flowers, make-up and hair, even extra details such as how to style the attendants, venue, cake, stationery, photography, and entertainment are covered. Featuring beautiful photography from weddings photographer Joanna Brown. An ideal gift book for brides-to-be.